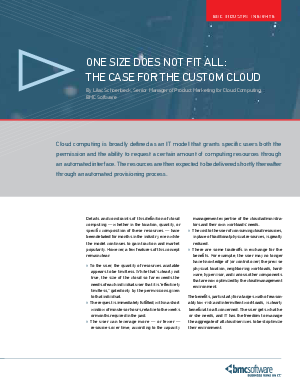 When it comes to cloud services, “semi-custom” goes a long way. “The Case for the Custom Cloud,” shows you how users can configure their own customized cloud services from choices you dictate – and how you can deliver the resulting cloud services quickly and affordably. Learn more on how users can customize their cloud services - while you maintain control.